Though they may not have been the moves that many in Cowboys Nation were hoping for heading into the offseason, the Dallas Cowboys were very active after the initial free agent spending spree the first week of free agency. While several teams paid a ton of money to during the initial stages, the Cowboys took a breath and continued to execute their game plan. The Cowboys' front office stuck to their game plan of filling their needs in the free agent pool to allow them to stay true to their draft board. When the NFL Draft comes at the end of the month, the Cowboys won't be locked into needing to draft any particular position. As far as free agency the Cowboys are concerned, mission accomplished. So, before the draft comes, let's take a look at each move and the significance of the acquisition power rankings style. 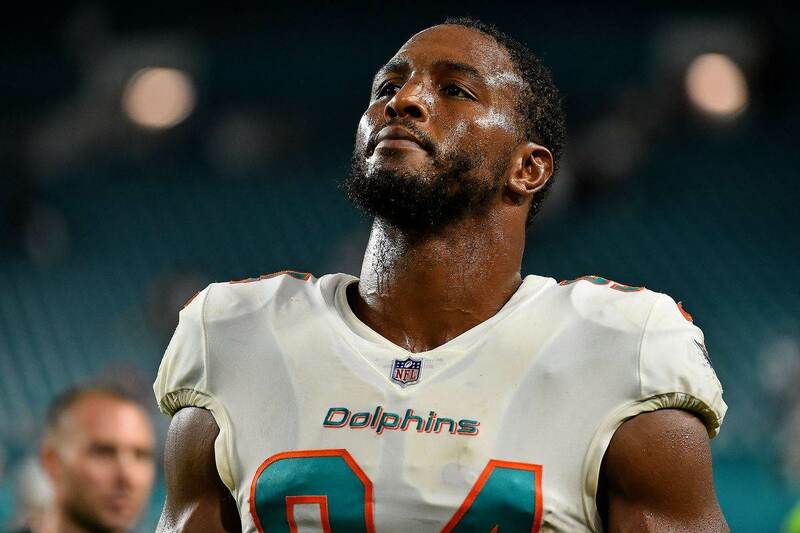 Robert Quinn comes to the Dallas Cowboys with 69 sacks over his eight year career and is a starter at right defensive end day one. Yes, he comes with some injury concerns, but over the last couple of years, he's only missed two games (in 2017), while compiling 15 sacks combined. In the five seasons in which Quinn started at least 14 games, he's averaged 11 sacks a season. Even if you take away the 19 that he had in 2012, Quinn still averaged nine sacks a season in the other four years where he started at least 14 games. He brings speed, agility, bend, and finish to the right side of the defensive line and is a player that demands attention in addition to Cowboys All-Pro Defensive End DeMarcus Lawrence. When the Cowboys line up in September, they'll feature one of the best pass rush duos in the NFL. Getting Quinn for a 2020 sixth round pick and a reduced contract, is a huge get for the Cowboys front office. No other move will have as much of an impact as Quinn will on the Dallas Cowboys in 2019. They say that you can never have too many pass rushers, and while many would point to Randall Cobb as the next most important signing to Robert Quinn, I'd argue that it's Defensive Lineman Kerry Hyder. YOU CAN NEVER HAVE TOO MANY PASS RUSHERS!!! Hyder comes over from the Detroit Lions where he spent 2018 playing nose tackle for Matt Patricia's 3-4 defense. At 270 pounds. I don't know what Hyder did to Matt Patricia for the Lions head coach to play him that out of position, but Hyder was incredibly undersized to play the 0-tech defensive tackle position. In 2017, Hyder tore his achilles and that was a year after he exploded for eight sacks in 2016 after playing a full season for the first time in his career. Eight sacks are nothing to sneeze at. In Hyder, you have a player who can play inside at 3-tech and then also play defensive end on both ends of the line. If he can find some of that pass rush magic from 2016, the Cowboys are getting another pass rusher with inside and outside ability like Tyrone Crawford. With Hyder's ability to play inside, you could potentially see a third and long situation with Quinn, Hyder, Crawford, and Lawrence all playing together. That gives me visions of the 2007 New York Giants team that would rush four defensive ends on passing downs. 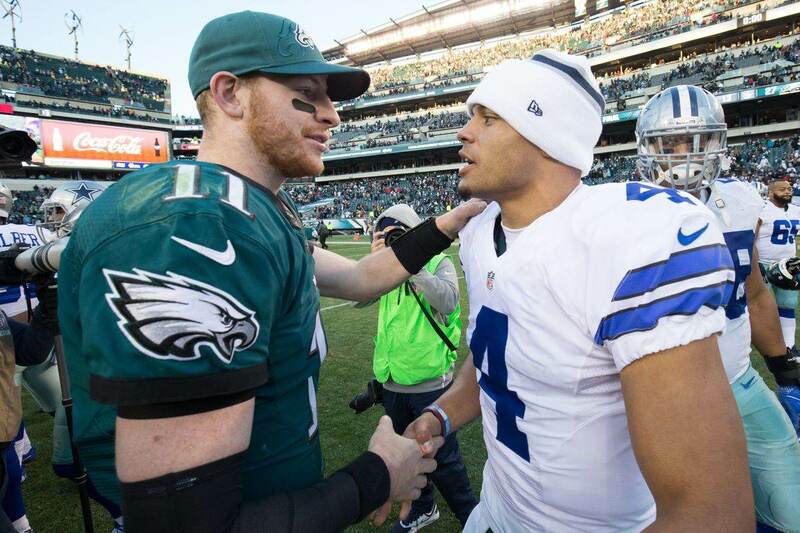 Is Randall Cobb as good as Cole Beasley in creating separation? No. Is Randall Cobb a good slot wide receiver? Absolutely. Cobb's a different player than Beasley, but he's every bit the player. Cobb is a good route runner. He's not necessarily as quick as Beasley is, but he finds a way to make things happen in the slot and can beat one-on-one coverage and find holes in the zone. Per Next Gen Stats, Randall Cobb and Cole Beasley both created 2.9 yards of separation at the catch point in 2018. What Cobb brings to the table is a player who can play on the outside of the formation as well as in the slot. This allows you to move Amari Cooper around the formation more, which gives your WR1 more favorable matchups. It was clear in the Los Angeles Rams game that the Dallas Cowboys defensive interior struggled against the Rams interior offensive line. Some of it was the matchup, but some of it was related to injuries and an illness to Antwaun Woods and Maliek Collins. They were overmatched on the night and the Dallas Cowboys defense had a difficult time slowing down the Rams running game. 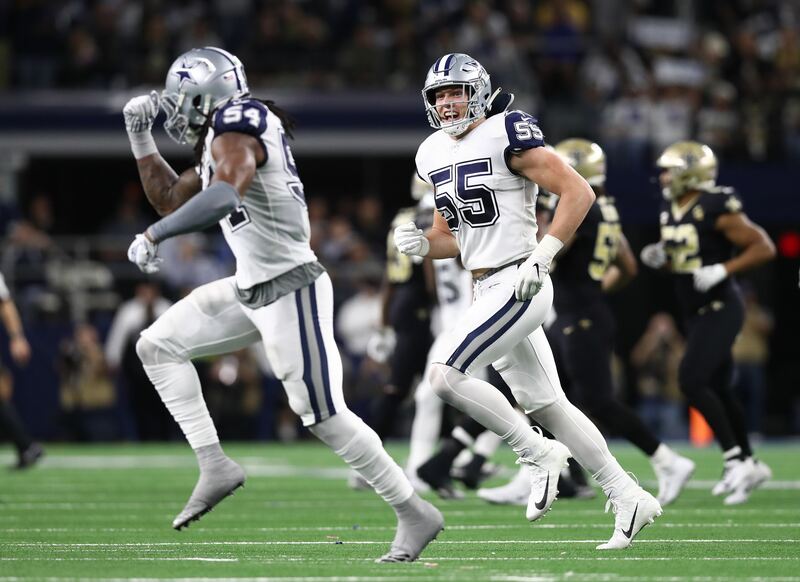 The Cowboys have made strides to rectify that by bringing in Christian Covington who played for the Houston Texans in 2018. Playing defensive end in the Texans 3-4, Covington had 3.5 sacks. At more than 300 pounds, he projects to join Woods in the 1-tech defensive tackle rotation. For a defense that played really well all season and especially against the run, it was a let down. Now with two legit run stoppers, and Covington bringing some pass rush ability to the 1-tech spot, the Cowboys will have more waves of lineman to throw at opposing offenses and will be able to stay fresh. Amidst all the new players coming to town, one of the more underrated moves this offseason was bringing back Cameron Fleming to be the swing tackle for 2019 and potentially be the starting right tackle in 2020. Over the last three seasons, Left Tackle Tyron Smith has missed games. In 2017, not having an adequate replacement for the All-Pro pretty much ruined the season for the Dallas Cowboys. Fleming, who wasn't perfect in 2018, is a reliable back up that can play both sides of the offensive line and with La'el Collins set to be a free agent in 2020, the Cowboys have some veteran insurance if they decide to move on from their starting right tackle. Having the ability to call upon a reserve offensive lineman who has started a Super Bowl is a really nice luxury to have for the Dallas Cowboys. If they do suffer an injury at tackle, the Cowboys may not have an equal replacement, but they have an adequate replacement to fill in. Admittedly, I've had reservations about bringing Jason Witten back. Particularly as it relates to the snap counts of Blake Jarwin and Dalton Schultz. Witten is no doubt at the end of his career in the NFL and there's no telling how the year-long lay off will impact his play in 2019, but having one of the most important leaders this franchise has had in the 21st century can't be a bad thing. The reports are that Witten will only play around 20-30 snaps a game and while that potentially cuts into the development of Jarwin and Schultz, Witten is still a player that can impact the game for you. Especially on third downs and in the red zone. More importantly, he's veteran insurance if the draft doesn't fall how the Cowboys like to select a tight end or in the event that Jarwin or Schultz don't take a step forward in 2019. Having a future Hall of Famer and one of the best tight ends to ever play the position as insurance is an amazing luxury for a team that will contend for the playoffs again in 2019. The Dallas Cowboys safety group needed an infusion of new blood at the position and so far, it comes in the form of veteran George Iloka. Now, he doesn't move the needle near as much as Landon Collins or Earl Thomas would have, but he's a solid player to put in the safety rotation with Jeff Heath and has some flexibility to back up at free safety as well. The thing about the Iloka move is that it doesn't prevent the Dallas Cowboys from drafting a safety in the second or third round with the hopes they will be a starter in the NFL . I know this didn't get met with as much fanfare as some of the other moves, but I really like the resigning of Wide Receiver Tavon Austin. Especially, if they make Tavon Austin the full-time kick and punt returner. He showed way too much flash in the Seattle game returning five punts for 75 yards, including one that nearly went for a touchdown. Why the coaching staff seemed reluctant to let Austin field all of the punts in 2018 is beyond me. They didn't really play him much otherwise. He's a dynamic weapon with the ball in his hands, so it would stand to reason that you want to give him opportunities to have the ball in his hands. As the full-time returner, he'd get 3-5 touches in the punt return game. The only reason I have him so low on my list is fear that the Cowboys may not give him a full shot at being a full-time returner. If there was a known commitment to that, then I'd easily bump him up a few spots, because he has that kind of game-changing ability. 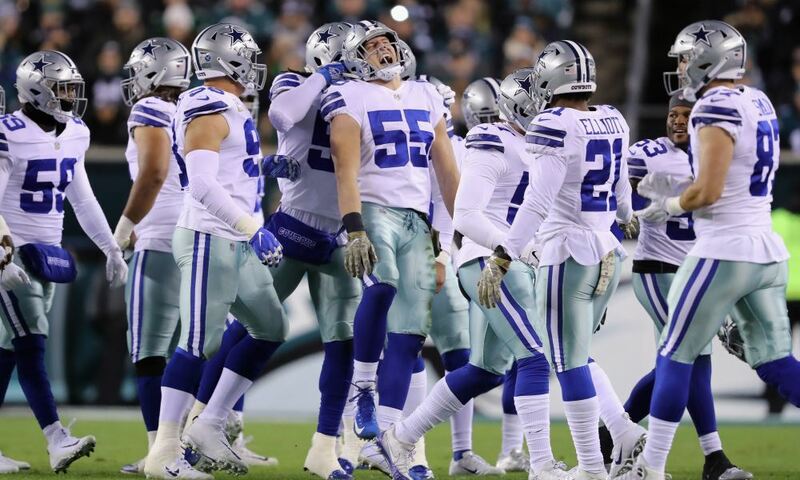 There's a lot of time left for the Dallas Cowboys roster to take shape and six picks to make in the 2019 NFL Draft that will have an impact on how the final 53-man roster looks come September, but the work they've done so far this offseason has been pretty good. This team still has some holes, but every team in the NFL does. The Dallas Cowboys continue to minimize weaknesses through free agency while not breaking the bank to do so. As we sit here in early April, there's no doubt that the Dallas Cowboys are a better team now than they were in January.